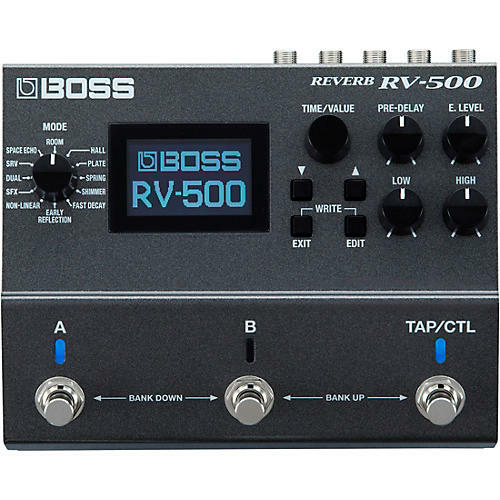 The BOSS RV-500 Reverb features 32-bit/96 kHz AD/DA, deep programmability and advanced features. It offers musicians unlimited creative capabilities with cutting-edge BOSS technology. Free editor/librarian software is available for the RV-500, allowing users to edit sounds and organize patches on a computer via USB.